Prague Castle - According to the experts, Prague Castle is the largest ancient castle in the world. I'm sure the key word here is 'ancient' and it's definition, but titles aside, it was extremely beautiful. On our first full day in Prague we hiked to the top of the hill and toured the castle grounds including the interior of St. Vitus Cathedral - one of the largest and most elaborate churches we've seen yet. But the highlight was most certainly the view from the top of the hill overlooking the city. Here our selfie stick game was strong. Charles Bridge - This very famous and historical bridge lived up to it's reputation. Our AirBnb wasn't located far from the foot bridge and we took advantage of our proximity by enjoying happy hour along a few of the riverside restaurants. 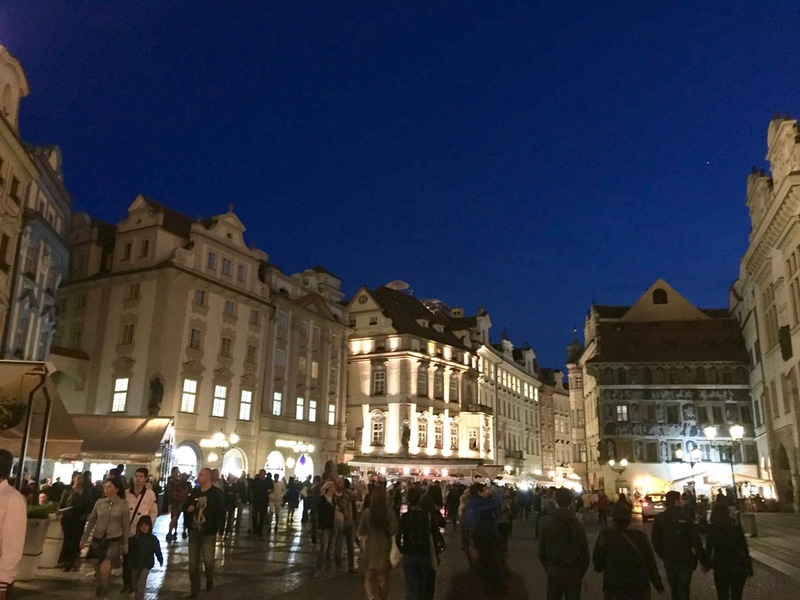 Prague, and European cities in general, do a very good job of utilizing their water fronts - something Grand Rapids could take a lesson on. Lining the bridge are 30 statues of various patron saints and is protected by bridge towers on either end with the most impressive of the towers occupying the entry to Old Town - the side opposite of where the castle sits. The Veletrzni Palace - This museum is the largest building belonging to the National Gallery of Prague and houses their collection of modern art. In addition to an impressive roster of artists on display there (Van Gogh, Picasso, Renoir) the Veletrzni is also home to the Slav Epic which is a collection of 20 large scale canvases depicting the history of the Slavic people. Also on display was an installation by popular Chinese artist Ai Weiwei of Zodiac Heads which are large animal head sculptures using bronze. Weiwei was a consultant on the memorable 'Birds Nest' used during the 2008 Olympics. Trdelnik - Also known as a 'chimney cake'... you better not judge me for listing a dessert as a highlight of Prague... is essentially a donut filled with ice cream. Rolled dough is wrapped around a rod, grilled over a heat source then dusted with cinnamon and sugar. Then it's filled with Nutella, fruit, ice cream, etc. Find one and eat it immediately. Prague Food Tour - Enter Jan from Taste of Prague who provided us an evening of great beer, amazing food and the history explanation to go with it. During a 4 hour time span we joined a small group and toured 6 locations including a local sandwich shop, butcher, brewery, a Vietnamese kitchen, wine bar, and an up and coming foodie restaurant specializing in healthy 'hipster' fare. It was incredible. The beer we drank at Lokal (the local brew house) was especially tasty knowing the beer was brewed that morning. During the tour we enjoyed open faced sandwiches, cured meats, wiener schnitzel, soup, noodle broth bowls, a selection of local wines, soup, dessert, and more. I don't know what else to say, it was awesome and we highly recommend this sort of turn in a town near you! Countryside Bike Tour - On our last full day in Prague we signed up for a 17 mile countryside bike tour and it was SO much fun. Earlier this spring Jeff and I rode bikes through Hyde Park in London and I mentioned feeling like a kid again... this experience was even better. 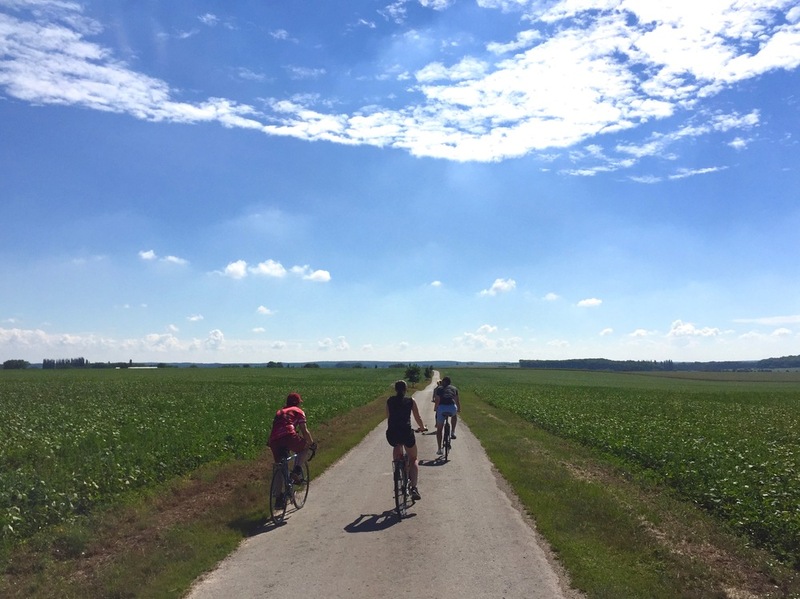 So there we were, 4 kids on bikes with our tour guide riding through the Prague countryside. It was hot as hell but the cold beer ahead of us kept us going... that and pure giddiness. Seventeen miles, 3 stops (including a local goat farm, a lakeside restaurant and a hilarious medieval style pub where we shared giant plates of meat for lunch), and a bunch of sweat through t-shirts later, we all napped like babies in the car ride back to our apartment. Concerts at Fredrick Meijer Gardens - Saw Ben Folds last weekend in the amphitheater and it was awesome. Get a membership. Go to concerts. It's awesome. Tanger Outlets in Byron Center - Went with my Mom and liked it. Small, clean, nice set up... good brands. I bought Christmas presents. That's not a joke. Early Bird in Eastown - So cute! Same great coffee (as Rowsters) with a fresh new look. It's an awesome addition to the neighborhood.